Eight students from the BTEC Extended Diploma in Construction and The Built Environment students were invited to Sheffield Hallam University to take part in the Chartered Institute of Building’s Student Challenge Day. The university is in the early stages of a 20-year refurbishment project with the initial five year project costing in the region of £200 million. The university invited teams from colleges in the region to tour the university and see the construction plans in place. Seven college groups met with staff and industry leaders to put their ideas forward for regenerating the main eating spaces at the university – known as the ‘Heartspace’, considering how the refurbishment would take place ensuring minimal disruption to students, considering plant and machinery and the aesthetics of the building. 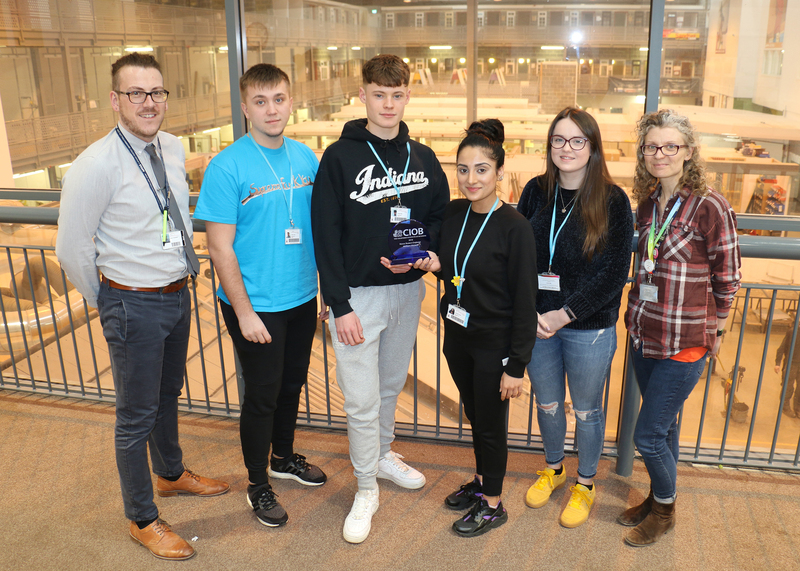 The winning group of West Notts students impressed judges with their attention to detail of the ‘Heartspace’ ensuring it considered mental health and wellbeing for staff and students at the university. Their designs incorporated a fish tank an 11 meter high living wall and the inclusion of rainwater harvesting. “At the start of the competition we felt quite prepared and confident as we’d had some time to discuss our initial ideas. It really stretched our creativity and I liked presenting our ideas. I enjoyed the marshmallow and spaghetti construction challenge in between the competitions for a bit of fun and I was delighted to win the ‘best female’ trophy!